Good days are filled with family, friends, and fun. Then there are those not-so-good days when my kids just aren't able to get going at all. Becoming victim to the occasional seasonal cold, stomach ache, or other troublesome symptoms is certain to happen to even the best of them. Bacterial and viral germs circulate continually within groups of active kids, here, there and everywhere that they travel. My trick of the trade is to make every effort to be proactive rather than reactive to protect the immune health of our kids as well as ourselves from the discomfort of sick days. 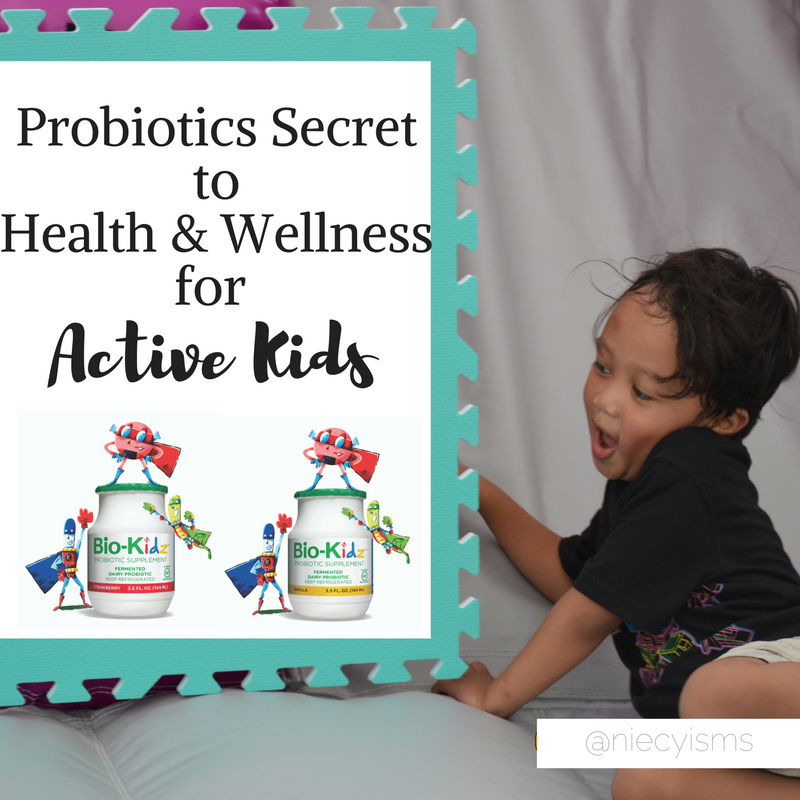 Thank you to the team from Bio-K+ for providing promotional Bio-Kidz® products for the purpose of facilitating this advertorial. According to recent health studies, 80% of the immune system found within the intestine, Bio-K+ introduced their newly launched first and only liquid probiotic for kids. Bio-Kidz® is a fun and flavorful drink developed specifically to improve the immune and intestinal health of children. 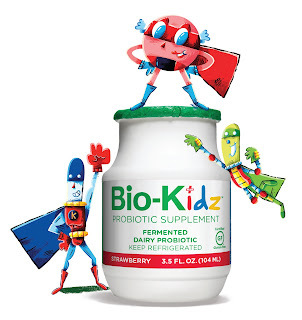 * Bio-Kidz contains live probiotic bacteria, active and ready to deliver their benefits immediately. * Bio-Kidz contains 12.5 billion 100% probiotic bacteria per 3.5 oz. bottle. * Bio-Kidz’s, drinkable products are appropriate for daily use. * Bio-Kidz is designed with a unique patented formula, combining Lactobacillus acidophilus (defense against harmful bacteria), Lactobacillus casei (strengthens immune system), and Lactobacillus rhamnosus (repairs and protects). * Bio-Kidz is available in strawberry and vanilla flavors. We tried it and we like it! Find additional details and purchasing information about Bio-Kidz online today!